Roberto Martin Antonio Bonilla was born on the 23rd February 1963, in The Bronx, New York City USA of African and Puerto Rican descent. He is a retired professional baseball player, probably best known for being one of the highest paid players in Major League Baseball(MLB). He is also recognized as an actor in several roles. His sporting career was active from 1986 to 2001. Have you ever wondered how rich is Bobby Bonilla? It is estimated from sources that the overall size of Bonilla’s net worth is equal to $25 million as of early 2016; his salary per year was more than $6 million. He has been accumulating his net worth through his professional career in the sport industry, and in addition to this, he has also appeared in several movies and TV series, which have added to his overall fortune. Bobby Bonilla was raised in The Bronx, where he attended Lehman High School. Right after the high school, he was picked up by Syd Thrift, a scout for the Pittsburgh Pirate, and his professional career started rising as well as his net worth. Bobby stayed with the Pittsburgh Pirates until 1991, when his contract expired, and by the time he left, he showed what a great talent he was. From 1988 until 1991, Booby was consecutively named to the All-Star baseball game. During his time at the Pittsburgh Pirates, Bobby Bonilla had a .284 batting average, with191 doubles, 868 hits, 500 RBI’s, 114 home runs. 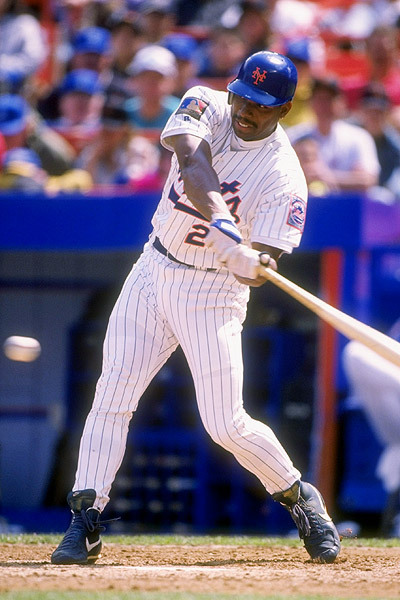 In 1992, he became a part of the New York Mets, with which he signed a lucrative contract worth $29 million for five years, but stayed with the team only until 1995, when he was traded to the Baltimore Orioles. The trade was the result of numerous incidents Bobby had, including threatening journalist Bob Klapisch, and also his performances drastically declined. Nevertheless, he came back stronger than ever, as a part of the Baltimore Orioles, leading the team to the American League Championship Series in 1996. However, he was again traded, this time to the Florida Marlins, with which he won his first and only World Series in 1997. For the next season, he renewed his contract with the Florida Marlins, but was soon traded to the Los Angeles Dodgers for Mike Piazza and Todd Zeile; to the other side, with Bobby went players Jim Eisenreich, Gary Sheffield, Michael Barrios, and Charles Johnson. He spent the rest of the 1998 season with Dodgers , but was later sent to the New York Mets, but couldn’t regain old form, and the season was a total disaster, which resulted in a release from the Mets, but the Mets still owed him money, paying him annually $1.19 million until 2035, a deal which began in 2011. Before his retirement, Bobby was part of the baseball teams Atlanta Braves, and St. Louis Cardinals, for which he played in his last season. The reason for his retirement was stated as injury problems, and also he wasn’t satisfied with the playing time or his status at the club. Regarding his personal life, Bobby Bonilla was married to Madiglia from the late 1980s to 2009, when they divorced. The couple has together two children. Bonilla is known for his charity work; while he was married they established the organization entitled “Bobby and Millie Bonilla Public School Fund”, which helps student in school. Later, he has worked with other similar organizations, such as the Players Trust All-Star Golf Tournament, etc. 2 Holds Baltimore Orioles single season Sacrifice Fly record (17 in 1996). 4 Member of the 1997 World Series Champion Florida Marlins, was later traded to the Los Angeles Dodgers in 1998 with Gary Sheffield, Charles Johnson, Jim Eisenreich and Manuel Barrios for Mike Piazza and Todd Zeile (May 15, 1998). 6 Shares A.L. single-season record for most sacrifice flies - 17 (1996).